A hands-on history curriculum that builds the lifelong skills of research and writing. Ancient, Medieval, Renaissance, and Modern "classic" History Portfolios, Junior History Portfolios, Teacher's Guides, Full Color Maps, and Four-part Timeline Matching Cards. 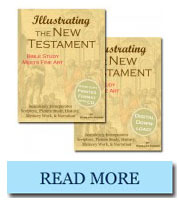 Develop the heart and soul with this hands-on program that lets great artists and iconographers, from throughout the ages and around the world, help to tell the story of the life of Jesus Christ and the beginning of His Church. 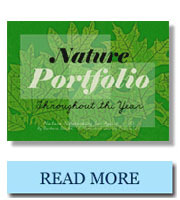 The Nature Portfolio is an introductory living science course, providing a gentle and creative notebooking approach to exploring the natural world throughout the seasons. Through the process of reading, and building the specially designed notebooking pages, your child will record their discoveries and create a one-of-a-kind living science keepsake; a book to treasure! 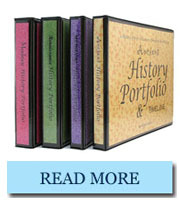 Design your own instantly downloadable History Portfolio by selecting from among twenty-six multi-level units, or bundled themes, covering ancient thru modern history. 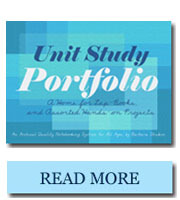 Each robust, hands-on, unit is appropriate for children in grades 1st thru 9th.